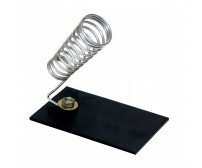 The soldering irons are most often used for installation, repairs, and limited production wo..
A soldering iron stand keeps the iron away from flammable materials, and often also comes with a cel..
BEST-168Z Magnifying Glass Stand with 2 Croc clips is a convenient and useful tool for giving extra support whilst performing precision soldering jobs and many other applications. 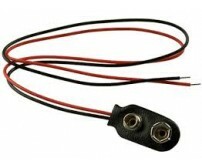 Robust metal stand and attachments. 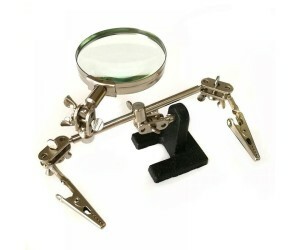 Solid metal construction 60mm glass lens 3x magnification 2 adjustable crocodile clips. 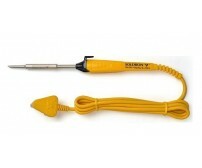 Hand Clamp Helping Magnifying Glass Professional Tool. 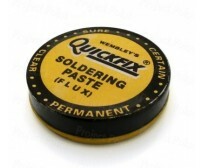 The practical tool for soldering work, electronics and model making. 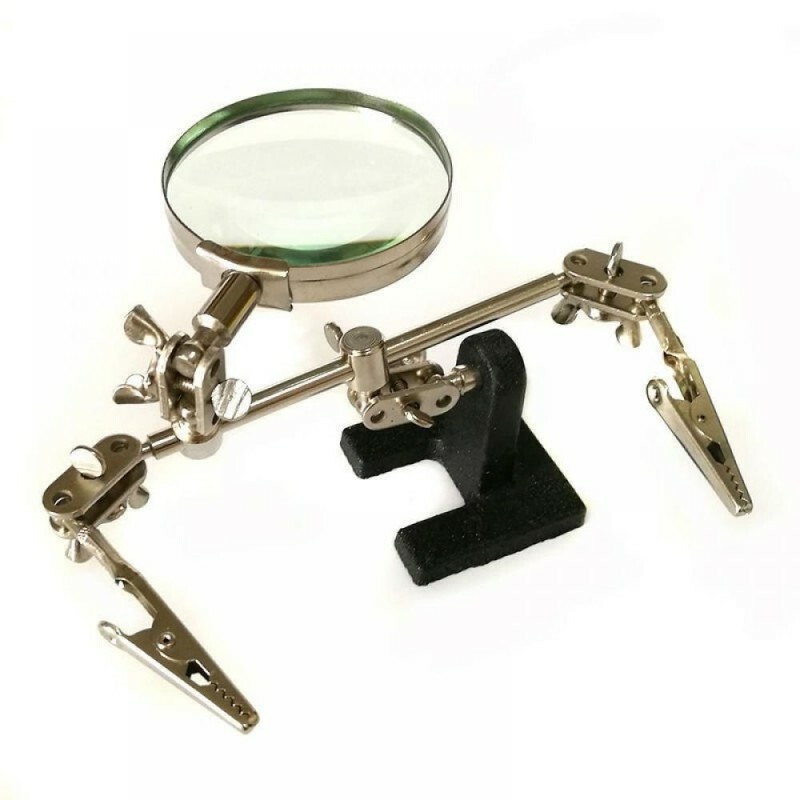 Two adjustable locking arms with aligator jaws and magnifying glass can be configured in many ways. 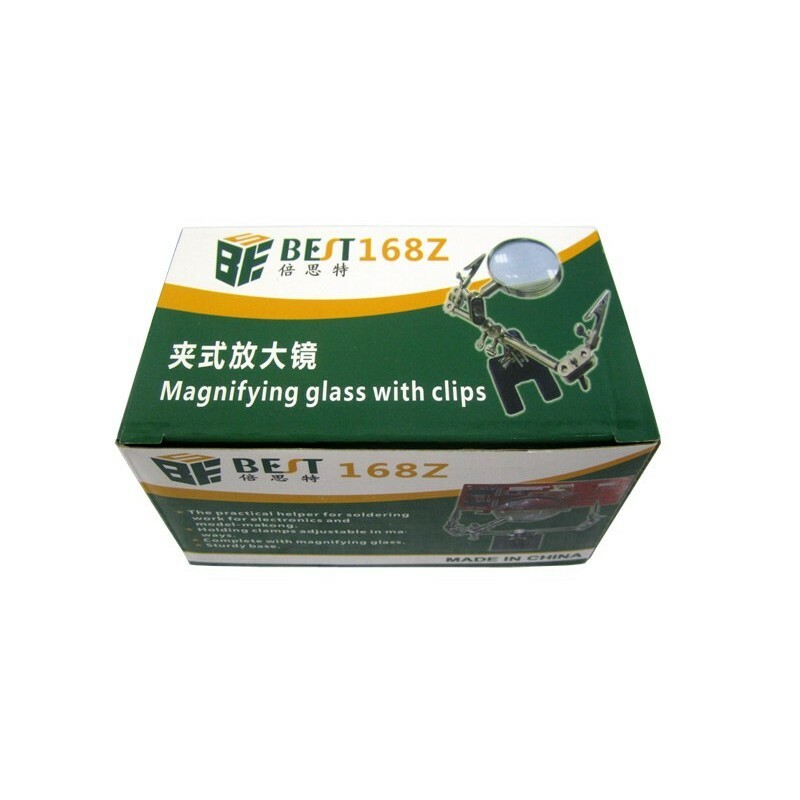 Magnifing glass with heavy solid stand, heavy and sturdy cast iron base prevents movement of work. 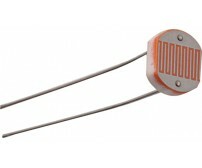 Magnifier glass improves field of vision for small objects. 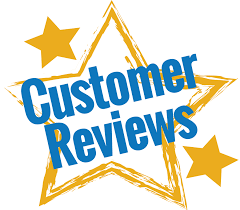 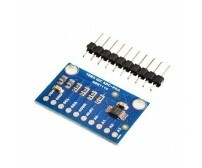 For Professionals Or D.I.Y Use. 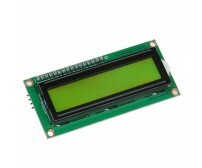 The I2C 1602 LCD module is a 2 line by 16 character display interfaced to an I2C daughter board.. 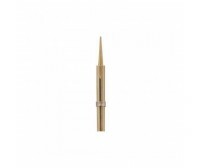 This is a 25 Watt pointed tip; it can be used with any standard 25 W soldering iron. 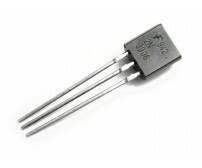 This tip is par.. 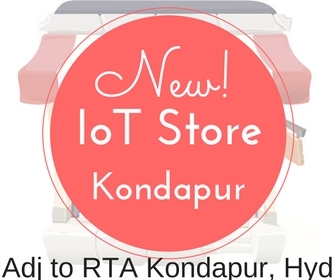 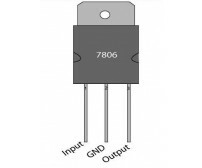 The 2N5551 is an NPN amplifier Transistor with an amplification factor (hfe) of 80 when the collecto..
7806 - Voltage Regulator – 6V7806 is a voltage regulator integrated circuit. 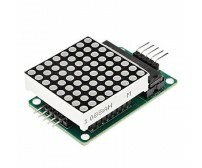 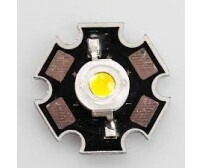 It is a member ..
3 Watt LED with Heatsink.Specification:3W High Power Warm White LED Luminous flux: 200Lm For..
2N7000 is an N-Channel MOSFET in TO92 Package. 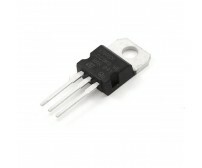 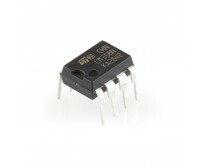 It can replace BS170 Mosfet. 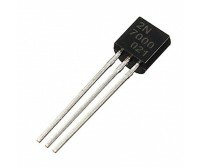 Datasheet:2N7.. 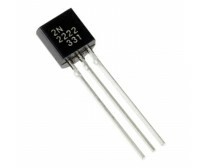 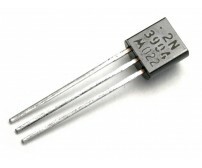 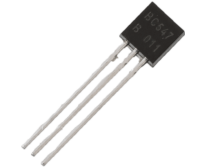 The 2N3906 is a commonly-used PNP bipolar junction transistor intended for general purpose low-power..
2N3904 is a common NPN bipolar junction transistor. 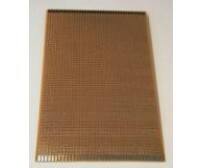 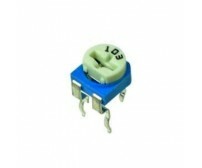 Features:Collector emitter vol.. 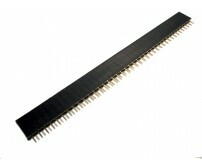 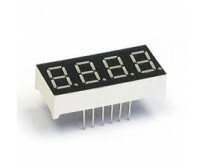 The MAX7219 is an integrated serial input / output common-cathode display driver, it is connected to..
Specification: Transistor Polarity: NPN Collector Emitter Voltage V(br)ceo: ..
LM358 indicates an 8-pin chip, containing two op amps at low power.The LM358 is designed for gener..
A Breakout Board for ADS1115 16-Bit ADC - 4 Channel with Programmable Gain Amplifier. 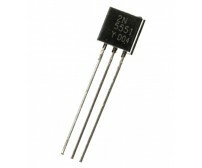 The ADS1.. 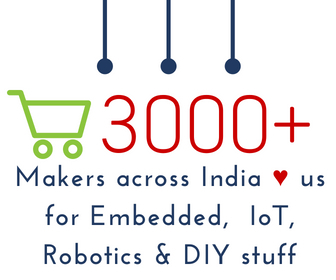 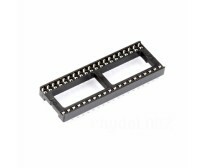 This 2 Pin Wire to Board connector are used widely for connecting Wires to Boards,It can be for Po..
Fluxes may have more than one function at a time. 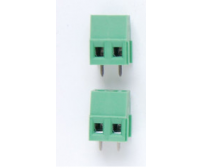 They are used in both extractive metallurgy and me..
40 Pin 2.54 mm Single Row Female Pin HeaderThis Break away female header connector is a Singl.. 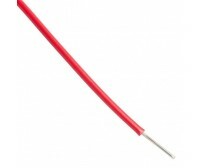 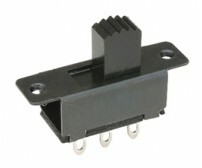 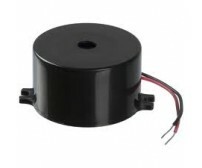 These wires are used in low current, low voltage (under 1000 V) applications within enclosed electro..